Auckland, 26 July 2015 - CBRE Christchurch has been named Small Industrial and Commercial Office of the Year at the Real Estate Institute of New Zealand Awards for Excellence in Real Estate Sales. The award was secured by CBRE’s Christchurch business and was accepted by the Managing Director of CBRE Christchurch, Tim Rookes. The REINZ awards, which were held on 23 July at the Rendezvous-Grand in Auckland, recognise the most outstanding practitioners in the real estate profession. 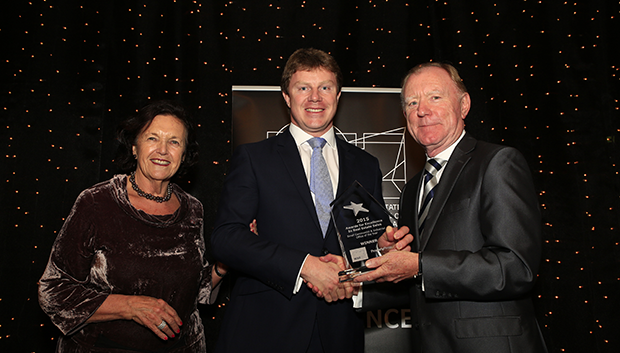 CBRE Senior Managing Director New Zealand, Brent McGregor, attributed the company’s success at this year’s awards to the outstanding efforts of all staff in continuing to deliver the highest levels of service to build advantage for CBRE clients. “These awards recognise our commitment to delivering outstanding service and results for our clients,” Mr McGregor said.